Hey everyone! 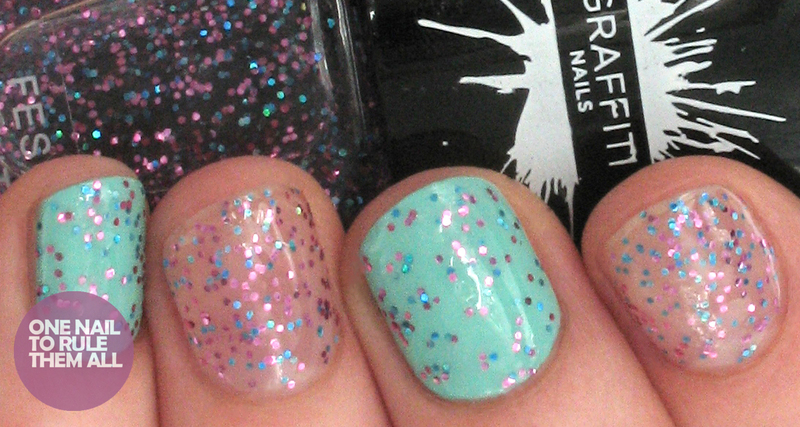 I'm back with Part 2 of my Graffiti Nails swatches, you can see Part 1 here if you missed it, and you can see my original announcement here if you're not sure what Graffiti Nails is (and you definitely should know!). 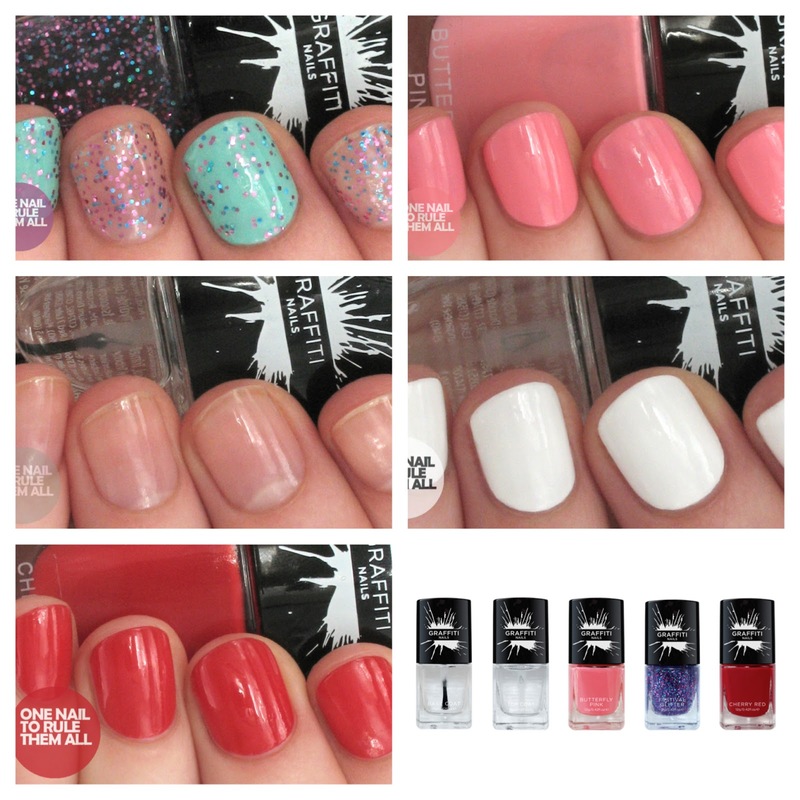 Today I'm going to be showing you Butterfly Pink, Cherry Red, Topcoat, Basecoat and Festival Glitter. Don't forget to check out the website here, where products are now available to buy in the UK (we have plans to go international a bit further down the line dont worry) and our Facebook page here to keep up to date with news and competitions. I know there are a lot of links in the previous sentences, but I promise you that they all lead to great places! First up is Festival Glitter*, which is a mix of blue and purple glitters. 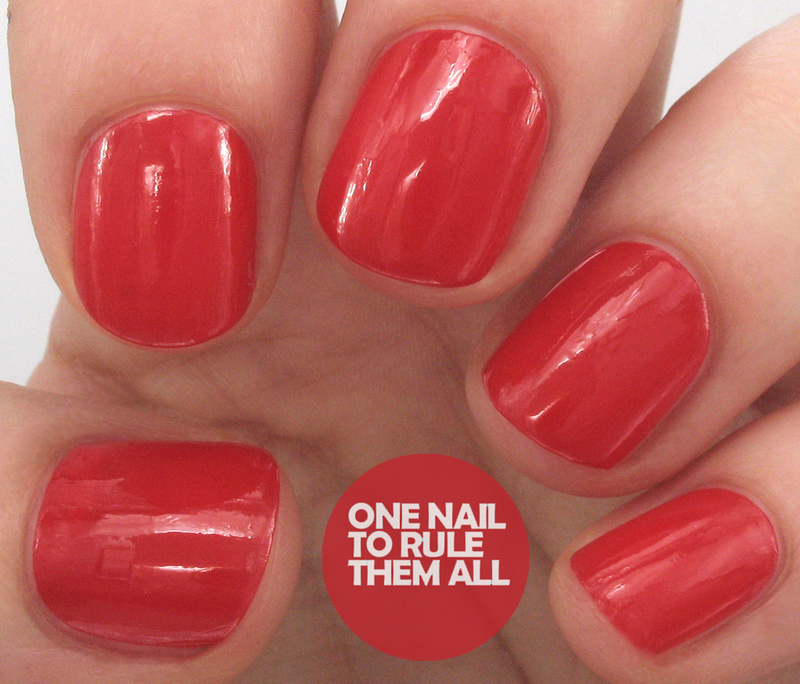 It is made to be a topper, so layering isn't really an option, but it's still a great polish to have. Here I've shown 1 coat over Pistachio and 2 coats on the plain nails over the Basecoat. It dried shiny but I added topcoat to my middle finger to show you the difference. Next is Cherry Red*. This was 2 easy coats, it was incredibly fast drying and, as you can see, it is super shiny. 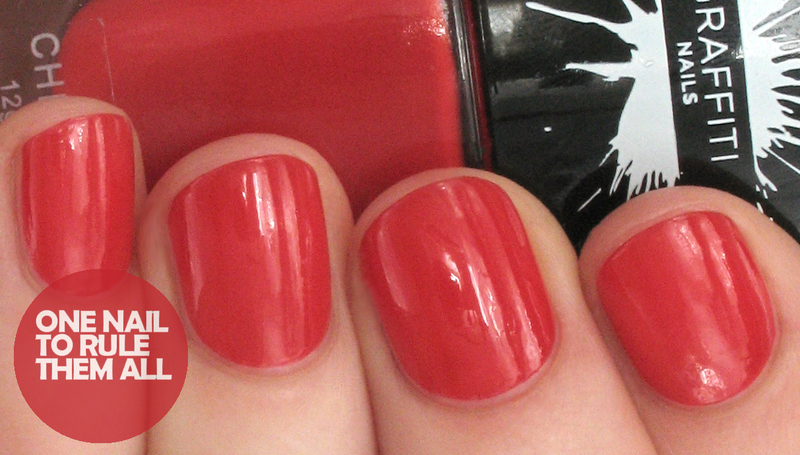 This is more of a creme red than a jelly, which most reds tend to be, so I like it a lot more just for that! Next up I have the Basecoat* (above) and Topcoat* (below, shown over Ice White), both dried super quickly, and they were both super shiny. I did have a bit of a problem with the brush of the topcoat, I felt it would be more suited for the base, so I just swapped them over and all was well! 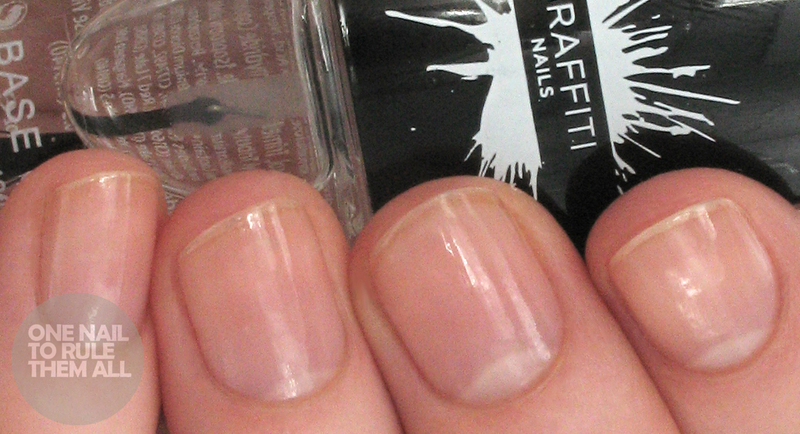 Overall, I would really recommend these polishes, and not just because I'm involved with the company. As I said last time, these polishes really are amazing, they dry incredibly fast and shiny, and they're really opaque. AND if you buy 3, postage is free, so what more could you want? Next week I'll be showing you the last part of the reviews, with Jet, Ice White, Morning Mist, Mellow and Deep Red, so keep an eye out for that. 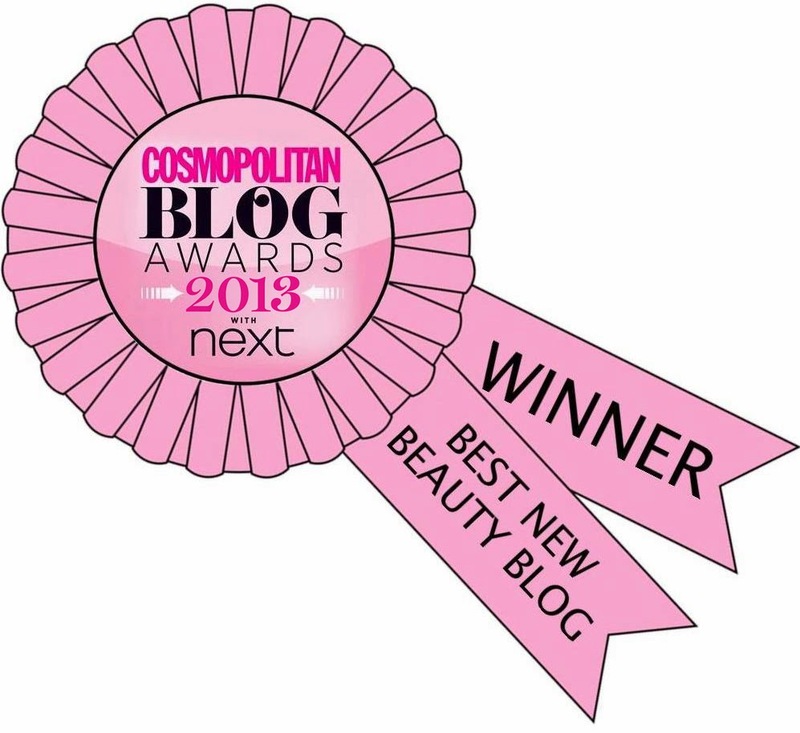 Loving the pink and the glitter! This is such a great collection! 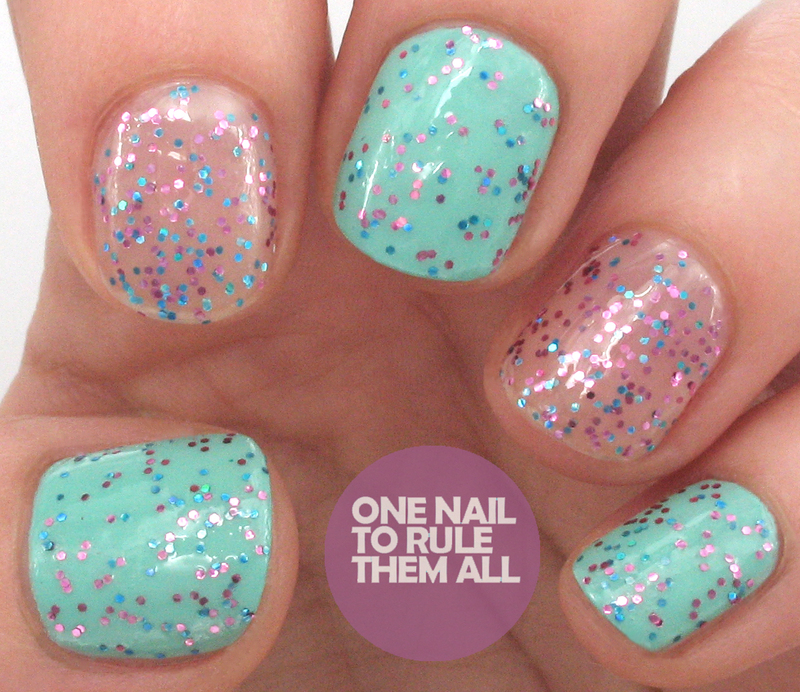 These polishes sounds amazing (and looks amazing too!). I'm looking forward to you guys goes international!